1 - pair/s $8.95 ea. 3 - pair/s $7.62 ea. 6 - pair/s $7.28 ea. Diabetic Seamless Toe Diabetic Care Sox help prevent binding with no elastic on the top and are sized large enough to fit over casts. The true seamless toe is a unique in that it joins the toe seam by not overlapping the material, but instead the seam goes down the middle and joins the two sides of the material without adding to the thickness of the sock itself. The medium weight sock come up to about 8" above the ankle. Developed by an RN who cared for patients with insufficient circulation, these all cotton are sized to accommodate patients suffering from edema brought on by diabetes or circulatory problems. These socks are not recommended for patients who need compression socks. Available in white, black, navy, and tan. Machine wash and tumble dry on low heat. Use only non-chlorine bleach when needed. 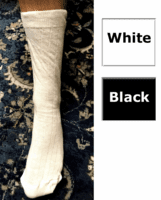 Our wear testers found that this is a great all cotton sock for people with swollen ankles that do not need compression and want the sock to give way - especially great for wide feet. 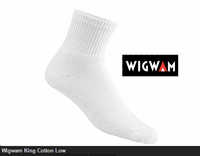 Need a Wigwam Diabetic Walker Crew sock that has special dry release technology to wick away wetness, odor control, non binding, and dries quickly? 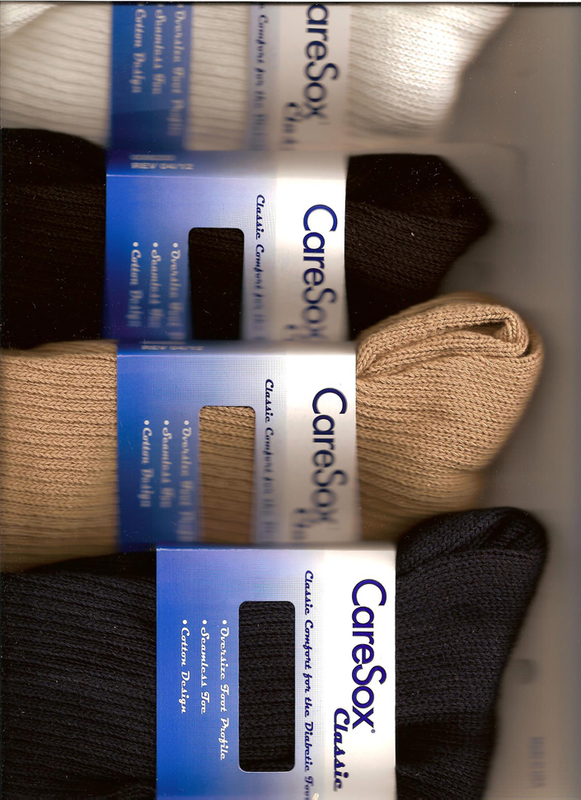 We have the just the Diabetic Walker Crew sock you need (not cotton, but has a great soft feel) - click here. 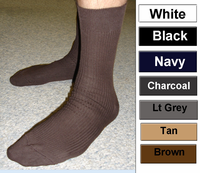 Need a dress sock that is 82% cotton in the same medium weight but for a more narrow foot? We have the just the sock you need in our Multipurpose Cotton Sock - click here.